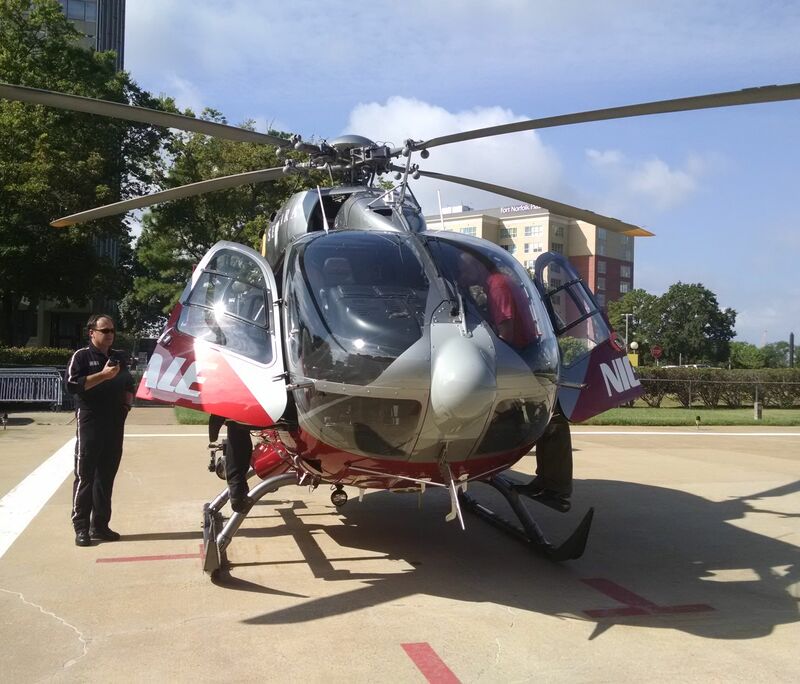 Medical helicopter pilots have to watch for drones when they're in the skies above Hampton Roads on the way to save lives. One of your favorite technology toys could be putting the lives of your loved ones, and the people who are trying to help them, on the line. Medical helicopter pilots are issuing a new warning: drones are putting them in danger. Now, they always have to watch for drones when they're in the skies above Hampton Roads on the way to save lives, but they say, you can help keep them safe. Medical helicopters are called on in the worst case scenarios. Those crews are the ones who fly out when the need to rush to the hospital is so urgent, an ambulance just won't cut it. "The saving lives, saving minutes, you've heard of the 'golden hour' as far as critical patients," Pilot Scott Nance, who has been flying Nightingale for two years, explained. "Normally if there's a scene or a critical patient transfer, instead of getting caught in traffic we go, we land at the scene, get the patient and bring him right back here to the hospital." Often times, their mission makes the difference between life and death. That mission is a difficult one. While the chopper has lots of glass and might look like it is easy to see out of, that's not actually the case. "We're restricted just by the configuration of the aircraft," Nance described. 13News Now went up with Nightingale to explain what the three-person crew of a pilot, paramedic and flight nurse can see in the air. 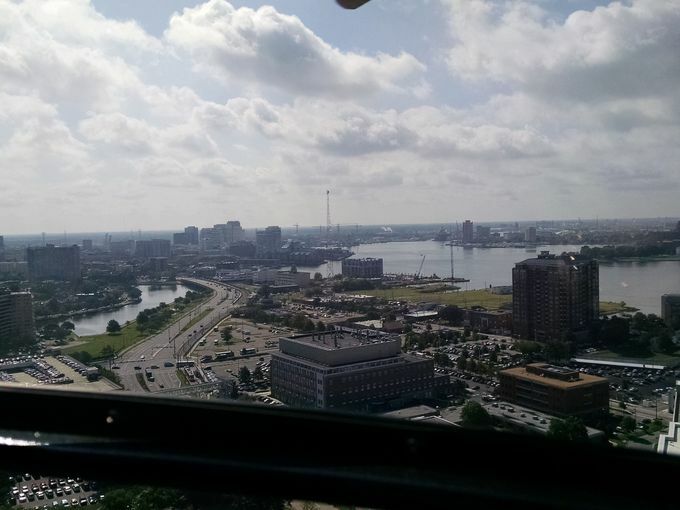 In Hampton Roads, heavy navy traffic brings obstacles everywhere. The recent popularity of drones creates just one more challenge they could encounter. In fact, VCU LifeEvac, which flies out of Richmond, just sent out a warning. 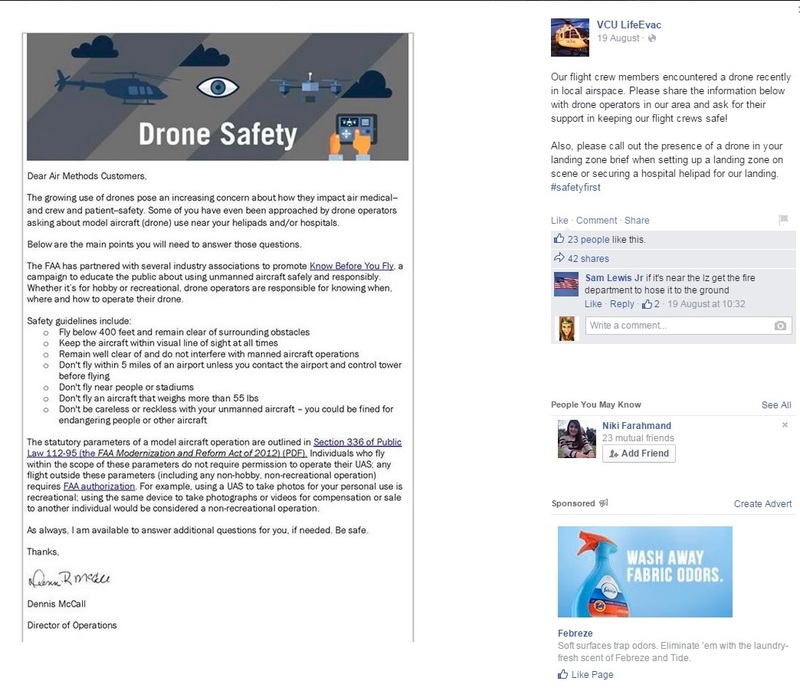 A flight crew there encountered a drone and they're also asking for the community's support in keeping them safe. They use the hashtag—"safety first." 13News Now asked Nance how much warning he would have if a drone flew near Nightingale. "I probably wouldn't pick it up until maybe fifty yards," he guessed. "If I'm doing 120 knots, it'd be on us so quick I may not have time to turn the aircraft." That could lead to disaster. "If I run into a 50-pound object doing 120 knots I could do significant damage to the aircraft," Nance told us. "I could possibly crash. I could possibly have to do a precautionary landing and then the patient we have on board wouldn't get to go to the hospital to get the critical care they needed." "If they could just picture their mom or their dad or their brother or their sister or their spouse," Nance added. "If we landed at a scene where one of their loved ones was picked up by us and they were out possibly filming that same scene, we took off, we hit their drone and we had to do a precautionary landing in the best case, in the worst case we crashed the aircraft possibly one of their loved ones could be on the aircraft." You can't fly a drone higher than 400 feet. Nightingale usually cruises around 1000 feet. Also, you need permission to fly within five miles of an airport and flying near stadiums is illegal. Nance explains most importantly, stay out of the way of emergency responders. Just let them do their jobs. For more information on safely flying drones, see the "Know Before You Fly" educational campaign's website.